Every iPad enthusiast (and everyone in general) has heard of Apple’s new iPad Apple Unveils New iPad at San Francisco Press Event [News] Apple Unveils New iPad at San Francisco Press Event [News] Read More . While some people feel the update is not significant enough, many are still planning to buy it. With its retina display and its 4G capabilities, the new iPad can still make a good upgrade on the iPad 2, and is a significant upgrade on the original iPad. So what if you own an older iPad, but really want to lay your hands on the new model? You can pass your older iPad to a relative, or try to sell it on Craiglist, but another option is to trade in your iPad for money on a website which will recycle it and sell it again as refurbished. 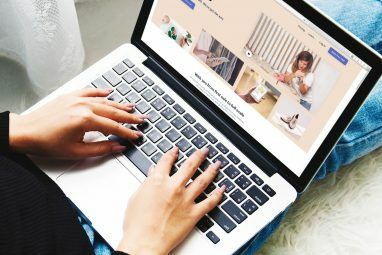 The latter is an interesting option since it doesn’t require the hassle of trying to find a buyer yourself, and the amounts you can get from various websites is quite respectable. So what are the options and what are the catches for trade in? Note: since the iPad market is hot right now, these prices are bound to change all the time. The offers listed below are true for when I got them. They may be changed by the websites at any time. eBay InstantSale offers an easy way to trade in your old iPad for cash into your PayPal account. The displayed prices are very competitive – you can get up to $265 for an original 64GB iPad, Wi-Fi only, and up to $475 on a AT&T 64GB iPad 2 (Wi-Fi + 3G). For my actual original 16GB iPad (Wi-Fi only) I managed to get a $200 offer, which is not half bad. An iPad 2 with the same specs can be sold for $290. If you accept the offer, you get to set up your shipping label for free shipping (US only). eBay gives you only a week to get your item to them, or the offer expires. Amazon’s trade-in program is for those who plan on buying their new iPad (or anything else) from Amazon. With Amazon, you can only be paid in Amazon gift cards – their way of assuring you’d be giving the money they pay you right back. However, if you actually are planning on spending your money at Amazon, the offers are pretty good. Note that the list prices you see above are for “like new” items, which means they’re inside the original box with all the original parts. For a good condition original 16GB Wi-Fi only iPad I got a $220 offer. For an iPad 2 with the same specs you can get $288, and up to $400 for a full-fledged iPad 2 with 64GB and 3G. We already told you about BuyMyTronics’s offers, which are expected to change on March 31st. 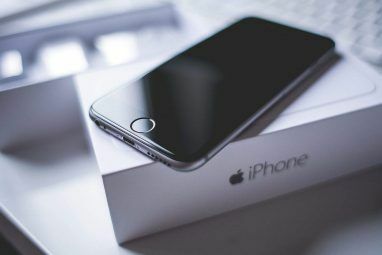 BuyMyTronics are one of the only websites to actually address international shipping, and will accept packages from anywhere in the world. If you’re outside the US you will have to pay for your own shipping, though. For my original 16GB Wi-Fi iPad BuyMyTronics offered $182. For an iPad 2 with the same specs I managed to get $266, and the 64GB 3G iPad 2 can go for $400. These prices are for flawless devices, including a charger. Payment is in check or to your PayPal account. NextWorth is a good choice if you regularly shop at Target. Aside from offering to pay you in Target gift cards (PayPal is also available), you can also walk into a Target store and sell your iPad there, instead of shipping it. NextWorth asks you to answer around 10 questions about your iPad, including the condition of the buttons, the audio jack and the back plate. For the original 16GB Wi-Fi iPad they offered me $147.50. For the same specs iPad 2, I got $243.93, and for the 64GB 3G iPad 2 I got $312.93. These prices are for fully functional undamaged devices. The prices offered at Technollo are actually not very competitive as of now, but since prices tend to fluctuate a lot, this is still a place to take into account when shopping around for a trade in. The website is easy to use, and it’s easy to talk to actual people if you so wish. If you sell your iPad, you can get your money in a check or straight to your PayPal account. For my original 16GB Wi-Fi iPad, I got a $102 offer. 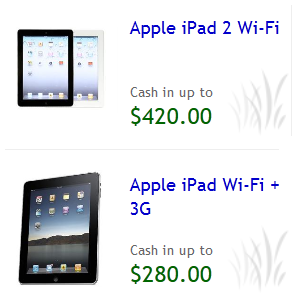 An iPad 2 with the same specs can be sold for $202, and a 64GB 3G iPad 2 can be sold for $352. These prices are for devices in good condition with a good battery and charger included. While all these websites are trying to look generous and green, they are nonetheless buying your iPads for profit. This is nothing to hold against them, companies need to make money, but do keep that in mind when shopping for the best offer. 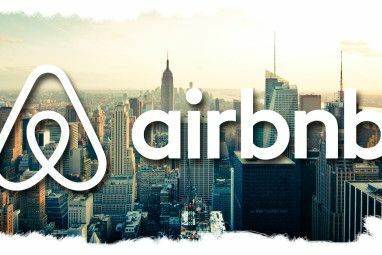 Getting high offers is easy enough, but if the company feels your iPad is not exactly as you described, they will not pay the promised amount. On some of the websites you can choose in advance what happens in this case; usually you can have the item shipped back, or simply go for the lower price. If you want to avoid surprises, be as honest as possible when looking for an offer. It’s better to know the real price up front than be disappointed later. Most websites offer free shipping for US addresses. While many don’t even mention international shipping, it’s worth to inquire about it, since it is possible on some websites. If you ship from outside the US, you may have to pay for shipping. Are you considering selling your iPad through such a trade-in service? Do you know of good ones we should know about? Or do you think there are better ways to trade in your iPad? Share everything in the comments. I think Ebay is better than other ... Haven't tried other sites ...Anyway thanks for sharing info . eBay is trustworthy and its prices are really quite good. It's like a game, find the best price in the best place and sell on that instant.